The autumn morning after sixteen-year-old Audrey Harper loses her virginity, she wakes to a loud, persistent knocking at her front door. Waiting for her are two firemen, there to let her know that the moment she’s been dreading has arrived: the enormous wildfire sweeping through Orange County, California, is now dangerously close to her idyllic gated community of Coto de Caza, and it’s time to evacuate. Over the course of the next twenty-four hours, as Audrey wrestles with the possibility of losing her family home, she also recalls her early, easy summer days with Brooks, the charming, passionate, but troubled volunteer firefighter who enchants Audrey–and who is just as enthralled by her. 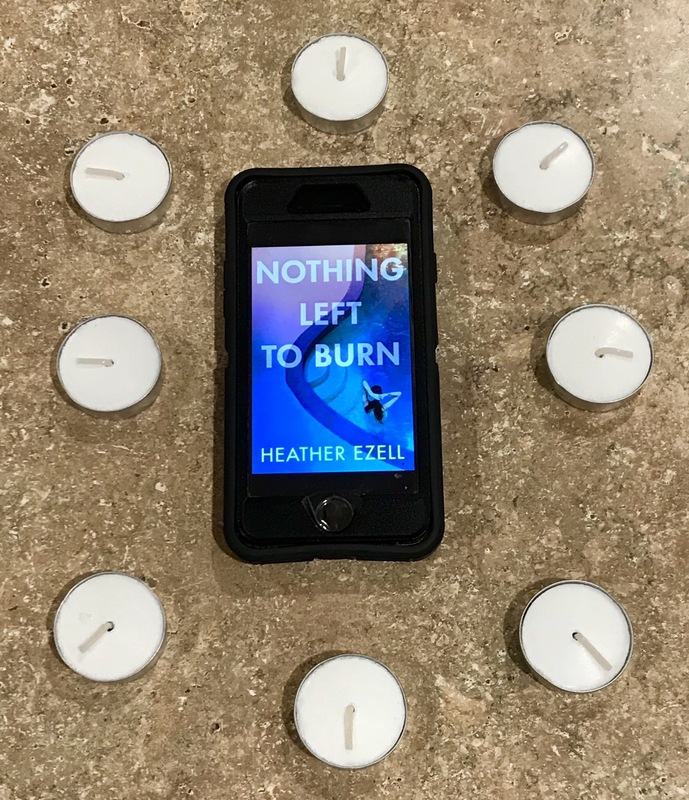 But as secrets from Brooks’s dark past come to light, Audrey can’t help but wonder if there’s danger in the pull she feels–both toward this boy, and toward the fire burning in the distance. Heather Ezell has written a stunning debut that will captivate readers until the very last page. I am so conflicted on my feelings on Audrey’s relationship with Brooks. In the flashbacks to their first dates, I can’t lie, I was totally in love with it. I was reading the book on my laptop, staring at the screen and smiling like an idiot. Yes, it was that cute. Obviously I knew something had gone amiss between then and the present time, but it was nice to live in ignorant bliss for a while. They were so cute. Swoon-worthy cute. Also, the different timelines and flashbacks worked very well. As my family can attest to, I was constantly calling out predictions for what was going to happen based on the little seeds of information and doubt that Ezell planted throughout the novel. I was right on most of them, at least in a roundabout way. I thought that all of the characters were flushed out nicely, and I especially loved Grace, Audrey’s girlfriend and Quinn, Grace’s girlfriend. They were kind and supportive to Audrey, and totally adorable together. Maya, her younger sister, was an absolute delight and I loved everything about her character. As for Audrey’s relationship with Hayden, Grace’s older brother, I think for the most part it evolved realistically. I loved when Audrey called him out for not making the effort to be her friend until she had a boyfriend, giving us more insight into her past dynamic and overall relationship with Hayden. We get to see Audrey changed a lot throughout the book, especially as her and Brooks’s secrets are slowly revealed. I really liked her as a protagonist, even though she was flawed, like all human beings are. It’s mentioned in the book that she has depression, and it seems that that has led her to have a sort of eating disorder as well, although that is not the main focus of the story. Overall, this book is an amazing debut, and I strongly recommend that everyone preorder a copy. This book will be released on March 13. *I received this book as an e-book from Penguin’s ‘First to Read’ program. You can follow Heather Ezell on Twitter at @heatherezell and on Instagram at @heathermezell!